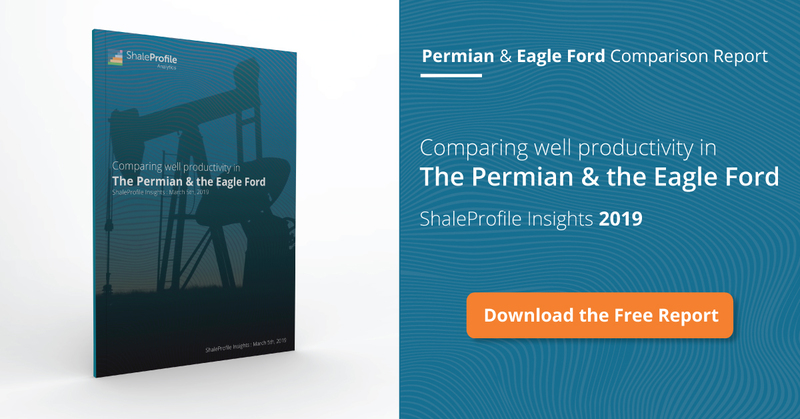 This interactive presentation contains the latest oil & gas production data from 11801 horizontal wells in the Permian (Texas & New Mexico) that started producing since 2009/2010, through May 2017. As mentioned in my previous posts, the data for Texas shown here is now more complete and accurate. In the past I noted that about 10% of the wells in the Permian were excluded, as they were on leases with a large number of wells, making good estimations of the production from individual wells difficult. As I now have access to some data regarding the status and performance of individual wells (especially regular “well tests”, but also a number of other sources), it is now possible to show the production from almost all horizontal wells in this region. Only a very small number of wells are still missing (they are not yet assigned to a lease, or have no well tests). This improvement explains why the numbers in the total production overview above are now almost 100 kbo/d higher than earlier posts on the Permian. Typically the production data for the last couple of months shown is rather incomplete, and therefore I expect that the rise in oil production, as seen through early this year, has continued in recent months. Formation data is now also far more accurate than in the past. If you change the “Show production by” selection to “formation”, you’ll see that most production comes from just 3 formations: Wolfcamp, Bone Spring, and the Spraberry. Where these formations are most prominent can be easily seen in the first tab (“Where?”). Viewing the results in the “Well quality” tab, you’ll notice that well productivity has risen strongly in this region over the past couple of years. So far the wells in 2017 appear to track the same path as 2016 wells, but this may still change. In the “Well status” tab you can see that, despite the improvements in well productivity, and the rising output, the number of new completions has also fallen in this basin since the end of 2014 by roughly 1/3rd. The last tab shows that Pioneer Natural Resources and Concho Resources operate by far the largest amount of production from horizontal wells in this basin. I have location data on almost all horizontal wells in this basin, but for Texas I also know the exact position of the horizontal laterals for about 80% of the wells. The above overview shows for Midland county where these are located, and who operates them. More data is available in tooltips, and you can use the county selection to select any other Texas county in the Permian (or all of them). The well tests I have access to now also reveal water production for most individual wells, and the results of that can be see in the last tab (“Water ratio”). Water production is higher than in most other shale basins, and hovers just over 2.5 barrels of water per barrel of oil in recent months, as the green curve in the bottom graph shows. Next week I plan to have the new data for Texas available for purchase. On Monday I also expect to have a new post on the July production in North Dakota, followed by one on all 10 covered US states. Production data is subject to revisions, especially for the last few months in Texas. Note that a significant portion of oil production in the Permian comes from vertical wells and/or wells that started production before 2010, which are excluded from these presentations. Texas RRC. Oil production is estimated for individual wells, based on a number of sources, such as regular well tests, oil proration data, and well inactivity reports.